President Ronald Reagan and his widow and former First Lady Nancy Reagan are familiar icons of American politics. What are some of the first things that come to mind when reflecting back on his presidency, administration, foreign policy, and his stance on social issues? Take a minute to remember some of the things he and Nancy were well-known to represent and implement. President Reagan is noted for supply-side economics pushing a laissez-faire philosophy, freer-market or less-regulated market, and significant reductions in individual tax rates for Americans. He is also noted for escalating the Cold War with the Soviet Union driving their economy bankrupt by attrition. Another notable mark by Reagan’s presidency is his staunch fight and campaign to return vocalized prayers in public schools, later reduced to a “moment of silence” due to opposition by the Supreme Court and Congress. President Reagan is highly regarded in conservative Right politics and economics. This is also the family environment that sons Ron and Michael, and daughters Patti Davis, Maureen, and Christine Reagan grew up. Their father continues to be a favorite historical figure of American conservatism. But that’s the public image, the general image usually portrayed. Examining closely the Reagan family dynamics with his four children, things are anything but conservatively unanimous and smooth. 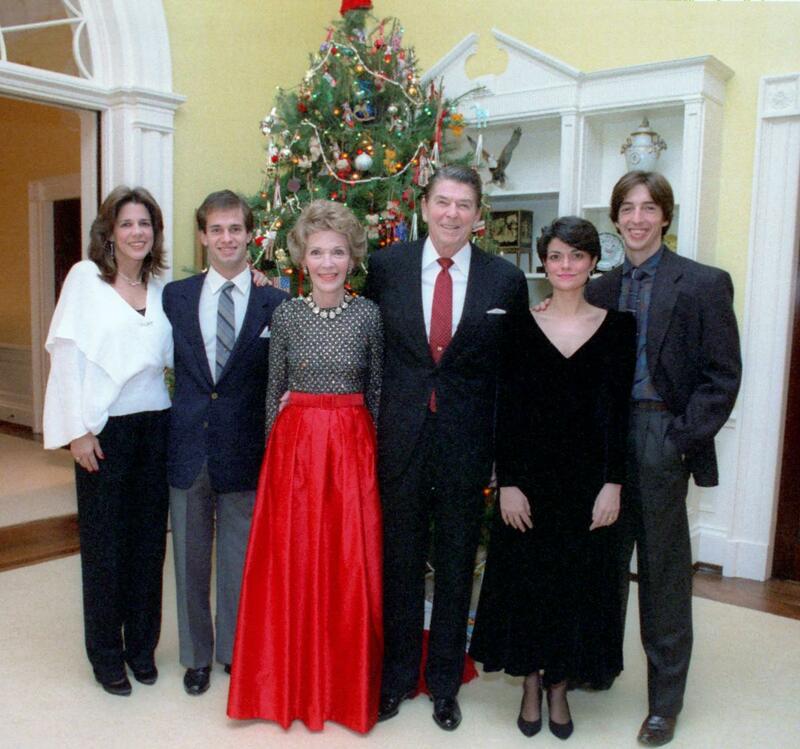 For a brief family background of the Reagans by PBS.org, click here. “In a gentle way, you can shake the world.” The same man said, A people become great exactly in the degree in which they work for the welfare of others. Mahatma Gandhi was perhaps the most prolific philanthropist and social activist of the modern era. All of his remarkable social change, democratic human rights movement, and struggle for independence from the Great British Empire were made and staunchly taught non-violently. Never did he himself raise a hand nor take up arms against the powers-at-be to facilitate the necessary change. He did it even in the face of cruel demeaning rhetoric and/or physical beatings by opposition. He allowed the arrogant self-righteous to become monsters and eventually self-destruct. Gandhi was the epitomy of proper change and how to encourage it. Though I am inline with much of the Freedom From Religion Foundation’s mission statement and campaigns, here is my question and dilemma with Ron’s final statement. When an ideology is CLEARLY wrong politically based upon our U.S. Constitution — that is the deterioration of separation of Church and State as Ron properly explains — is prodding or provoking or inflammatory comments to your opponents the best method to induce change? And even though Ron’s patronizing of America’s religious isn’t physical violence, is it the BEST approach to initiate political and social change? Below I’d very much like to read your thoughts and comments about my question and Ron Reagan’s ad. Though I am a history fanatic and quite familiar with the two world wars (politically and militarily), I watched an excellent 3-part series recently about events surrounding the World War I conflict, but it was NOT from the typical Western European perspective. It was from the “conscripted” perspective, or rather from the nations who were promised much from the principle Allied nations but in the end were grossly betrayed by them despite the enormous cost in life and blood of their own fathers and sons-in-arms. citizenship and wisdom. Furthermore, it mattered because my own children could one day be faced with international conflicts and wars, or more disturbing, serve in my nation’s armed forces in conflicts abroad that were created in 1917-18 and later 1947-48, or be casualties of future 9/11 attacks, and clueless about why! How is that possible you may ask!? Naive is the democratic citizen who does not think their nation’s foreign affairs influence or dictate their present economy, employment, and taxes, even their own family — whom could very well serve giving the “ultimate sacrifice” for that same nation’s armed forces abroad. Very foolish is the same citizen who hasn’t a firm grasp of the full history behind their nation’s foreign affairs which led to and/or fuels conflicts abroad, and therefore perpetually binds and chains their national foreign policy, economy, employment, and taxes for near seventy years, seven decades, i.e. almost a century, with no end in sight. What has been the cost, both realized and still unrealized? The answer is likely much more than you and most could ever imagine. If you are like me — a voting, taxpayer-responsible, loving parent, middle-aged (or not) American citizen who deeply cares about my local, state, and federal economy, jobs, tax-rates, and family members who serve, or could serve, in our armed forces — and you’re EXHAUSTED about the U.S. constantly getting dragged into Near and Middle Eastern conflicts, then you will want, NO… you are vehemently required to learn the real roots of the blood-ridden region and history! Broaden your lens, broaden your perspective. 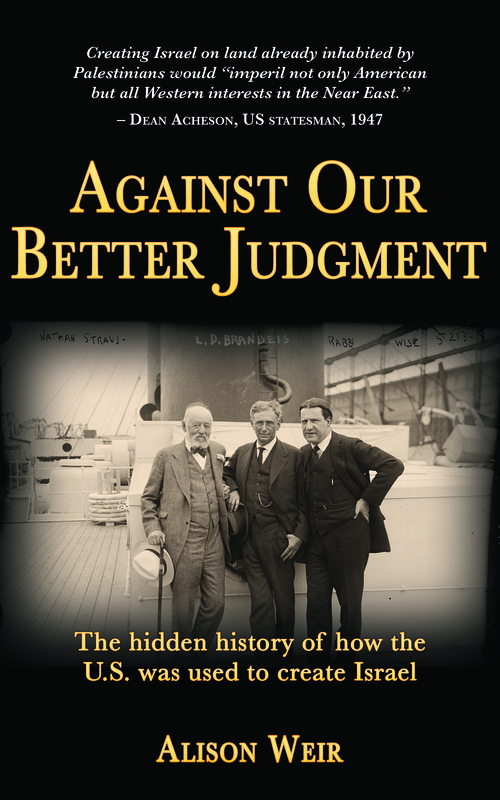 If you truly care about humanity and this life-giving and sustaining planet, by re-examining this history and its bridle on current affairs in the region, then you will discover just how much our nation’s past is controlling our present and possibly your future generations! And hopefully, you can find the determination do something about it!